As we approach Yom Kippur, a day of both fasting and forgiveness, I wish to offer a sermon about food. Specifically, the bagel, which has become both a symbol and symptom of some of the worst aspects of American capitalism. Let me explain. Growing up in Plainfield, N.J. in the 1950s, my family regularly went to the Capitol Bakery (the major Jewish bakery in town) to buy bagels and, next door, to Stein’s grocery (to buy cream cheese and lox, along with other items). We then often went (on Sunday mornings) to Larry’s Deli (on the same block, in the old Jewish section of town) to have corned beef, pastrami, brisket, or bagel-and lox sandwiches (depending on the time of day and our taste buds). There we would usually run into friends and other family members and often sit together to eat and talk. Larry’s was a secular gathering place for Jews before most non-Jews had discovered the bagel. (Today, bagels – like pizza, sushi, and tacos — are part of America’s multicultural diet). At some point over the past 50 years, our choices in bagels — like our choices in toothpaste, cars, beers, baby carriages, soap, bottled water, cell phones, long-distance carriers, colleges, 401K plans, orange juice, underwear, and every other kind of consumer product — have multiplied. You can no longer simply ask for a bagel. The person behind the counter or the waiter will inevitably ask, “what kind?” Ditto with lox and cream cheese. 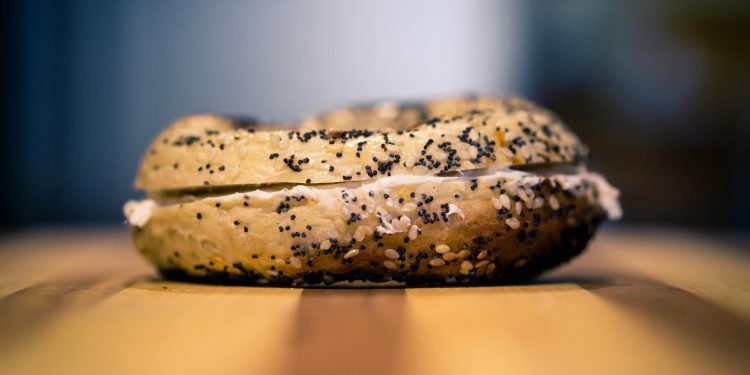 The expansion of bagel options began when bakeries began offering egg, onion, sesame, and poppy seed bagels in addition to the traditional plain bagel. Since then, the number of options has proliferated wildly. Ordering “bagel, lox, and cream cheese” has become exponentially more complicated because of all the choices, combinations, and permutations. We now have many possible combinations of bagels, lox, cream cheese, and garnishes. It boggles (or bagels) the mind. Bagel type – Einstein’s has 27 different types of bagels, not only plain, egg, onion, and poppy seed but also pumpkin walnut crunch, spinach florentine, and jalapeño cheddar. (I won’t even mention the bagel’s first cousin, bialy). A Facebook friend calculated that these nine categories of bagels, lox, cream cheese, and garnishes results in 33,696 possible combinations and permutations. That’s quite a mouthful. Some may view this as a good thing — a multitude of choices to meet every person’s unique taste. One can sympathize with bagel-lovers who, for health reasons, prefer whole wheat bagels or multi-grain bagels along with low-fat cream cheese. But, overall, I view this proliferation as a troublesome symptom of our consumer-oriented capitalist culture in which we are besieged with choices that make our lives unnecessarily more confusing and stressful. What was once a simple pleasure — the untoasted plain bagel, the plain unwhipped cream cheese, and the Nova lox — has now become a complicated set of choices. This proliferation of choices creates the illusion of freedom. But, in fact, it undermines our freedom by forcing us to spend additional time and energy deciding on the right combination of bagel, lox, cream cheese and garnish. It numbs our souls. In his book The Paradox of Choice: Why More Is Less, psychologist Barry Schwartz notes that our obsession with choice contributes to anxiety, dissatisfaction and regret. Not surprisingly, the bagel battles even have political consequences. New York gubernatorial candidate Cynthia Nixon – a well-known actress and a democratic socialist — recently ran into a political buzzsaw when she visited Zabars, the iconic Manhattan deli, and ordered a cinnamon raisin bagel with lox, cream cheese, capers, tomato and red onion. 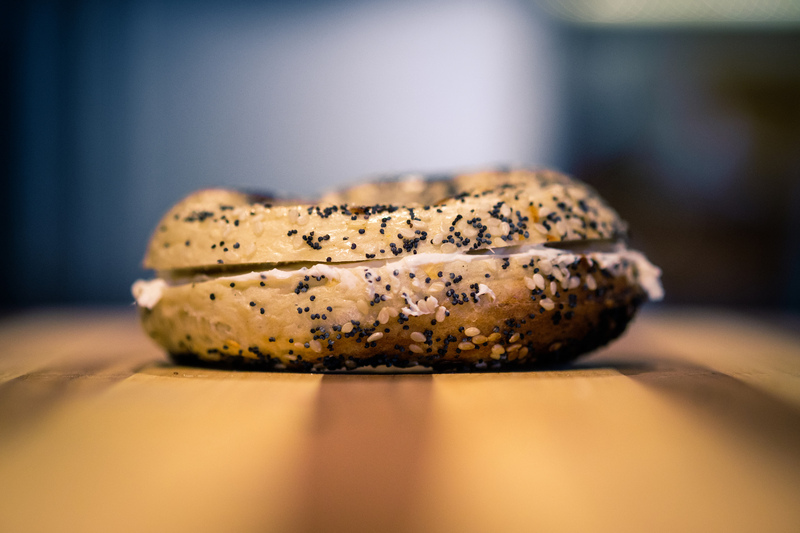 This offended many bagel purists and generated a great deal of media attention. This incident is no doubt the major factor that explains why incumbent Gov. Andrew Cuomo defeated her in the Democratic primary by a 2-to-1 margin. This may reflect a turning point in the bagel wars – a backlash against the proliferation of bagel options by the bagel barons. Moreover, the industrialization of the bagel industry has undermined the quality of the average bagel. The best bagels are “kettled” – boiled in water before they go into the oven. This gives them a crispy, crusty outer shell, rather than the soft, doughy shells found in bagels that many bakeries, restaurants and grocery stores sell today. Like many other bagel chains, Einstein’s bagels don’t have the nice crust because they are steamed and then baked in the same machine. So what we get is a proliferation of bagel types that taste more like donuts than like traditional bagels. The epitome of the decline of bagel quality are the mass-produced products sold in large grocery stores, particularly the simply awful Lenders pre-packaged bagels. The best-tasting bagels are those that are still hot, fresh from the oven. It can’t be an accident that the proliferation of bagel options, along with the decline of bagel quality, coincided with the demise of trade unions within the industry. In the early 1900s, Manhattan alone had hundreds of small bagel bakeries in which employees worked under miserable conditions for poverty wages, preparing the bagels by hand. Those workers formed Bagel Bakers Union Local 338, which established standards for bagel production. By 1915, the local had contracts with 36 bakeries in the New York City area. The bagel workers engaged in a number of citywide strikes in the 1950s and 1960s. For example, a December 1951 dispute between Local 338 and the Bagel Bakers Association shut down 32 of the city’s bagel bakeries, leading to what the New York Times called a “bagel famine.” The two bakeries that remained open couldn’t keep up with the demand for 1.2 million bagels per week. As a result of the strike, the delicatessens reported that sales of lox dropped by as much as 30% to 50%. Lenders Bagels, based in New Haven, began using an automated bagel-making machine in 1962. It could produce 300 dozen bagels in the time that two men working together could roll 125 dozen. The rise of the machine-made bagels in the 1960s led to an explosion of large bagel companies and retail chains, but the end of the union and, in many workplaces, the return of sweatshop-like conditions and/or low pay. The nation’s largest bagel baron, with over 800 stores, is now called the Einstein Noah Restaurant Group, that sells bagels under several names, including Einstein’s, Noah’s, and Manhattan Bagel. So, this Yom Kippur, let us say a prayer and ask God to forgive us for our sin of creating too many different kinds of bagels, lox, and cream cheese and for making life much more complicated than it should be, particularly for waitresses and waiters at Jewish delis who have to put up with this crap. E.P. Clapp Distinguished Professor of Politics and chair of the Urban & Environmental Policy Department at Occidental College.